Journey of data from temperature sensor to Microsoft Azure PowerBI #piday #raspberrypi @Raspberry_Pi « Adafruit Industries – Makers, hackers, artists, designers and engineers! Adafruit customer Savas wrote in to share this tutorial with us – nice work! I recently purchased couple of MCP9808 High Accuracy I2C Temperature Sensors from Adafruit and decided to upload sensor data to Azure first over Raspberry Pi and then visualize the data on PowerBI. Soldering and wiring guidelines could be found on this link, therefore, I will not repeat here. Pretty simple and straightforward. Next, we need to download the Python library to our Raspberry Pi from this link. Be careful, I2C should be enabled on your Raspberry Pi. Otherwise your sensor won’t work. You can find a sample Python file in this link to print sensor data to screen. Perhaps you would like to test your setup first by printing to screen. Now let’s finalize the Azure settings before we update the code. 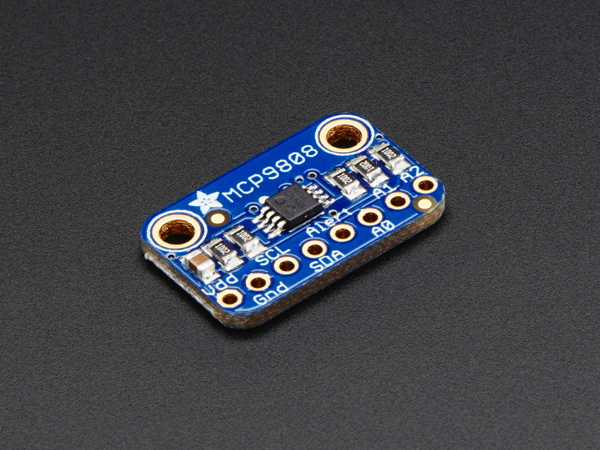 MCP9808 High Accuracy I2C Temperature Sensor Breakout Board: This I2C digital temperature sensor is one of the more accurate/precise we’ve ever seen, with a typical accuracy of ±0.25°C over the sensor’s -40°C to +125°C range and precision of +0.0625°C. They work great with any microcontroller using standard i2c. There are 3 address pins so you can connect up to 8 to a single I2C bus without address collisions. Best of all, a wide voltage range makes is usable with 2.7V to 5.5V logic! Read more.